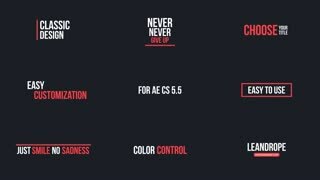 Template Description: Simple clean minimal logo and text titles animation. Full HD 1080p, 1920x1080, resizable. Adobe After Effects CS6, no plugin required. Sound use in the preview are not included.